A week after fanning the flames of Islamophobia and vitriol directed at Rep. Ilhan Omar (D-Minn.) with a tweet, Trump used his time with a Minnesota news affiliate to take aim at the freshman representative one more time. Friday, Trump tweeted a video that featured September 11 footage spliced together with footage of Rep. Omar giving her remarks—which were taken completely out of context—at an event for the Council on American-Islamic Relations. Omar argued that Islam should not be judged by the actions of extremists while discussing the civil liberties of Muslim-Americans. 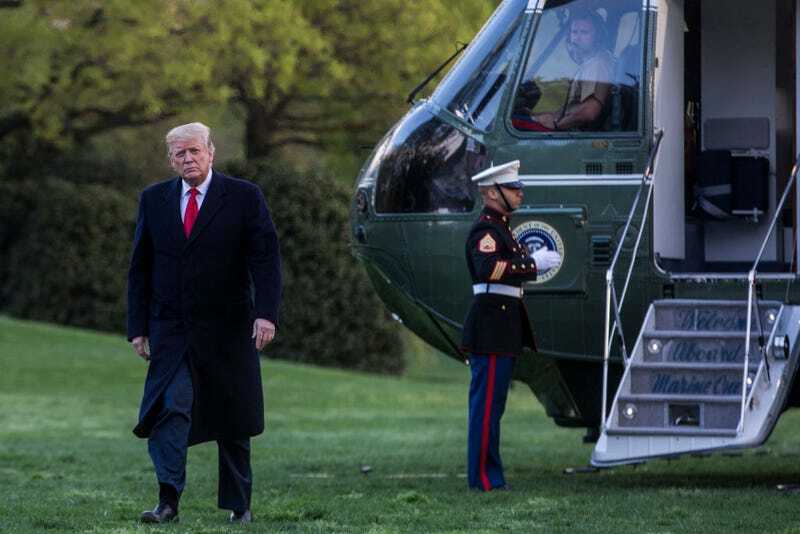 During a Minnesota visit Monday, Trump found time to criticize Rep. Omar while making his rounds promoting the impact of his two-year-old tax cuts. Calling Omar “very disrespectful,” Trump told KSTP that Omar had “a way about her that’s very, very bad for our country” while defending his tweet from last week. Trump’s Friday tweet came after a New York Post cover mischaracterized Omar’s remarks on CAIR’s post-September 11 origins, which was also preceded by signage at a Republicans of West Virginia event linking her to the attack in March. In response to Trump’s latest foray into bigotry, House Speaker Nancy Pelosi (D-Calif.) said that her team was working with U.S. Capitol police “conducting a security assessment to safeguard” Rep. Omar and her family. During his time with KSTP, Trump made it clear that he wouldn’t be issuing any apologies. “She’s been very disrespectful, frankly, to Israel. She is somebody that doesn’t really understand life. Real life,” Trump added. While Trump’s tweets have emboldened racists and bigots who threaten elected officials, he’s also done his part to drive online donations. With more than $800,000 in online donations in the first quarter alone according to Politico, Omar’s rent-free space in the GOP’s head could help keep her around for another term.